Through the years I’ve discovered something about writing that I never expected. I always believed that to be a successful writer you had to learn to write better, be diligent about networking and keep submitting. Those are all important, but it turns out the biggest things that affect my writing happen in my head. 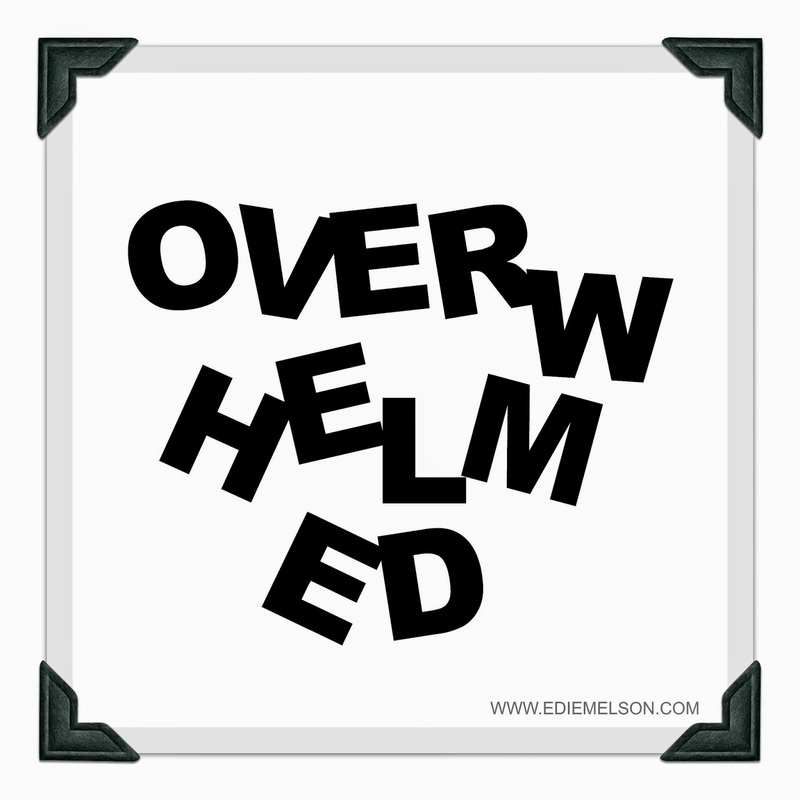 By allowing all sorts of negative thoughts, emotions and habits creep into my mind I was defeating myself before I put the first word on the page. I’d like to share 8 things that will derail your writing goals the fastest, and invite you to learn from my mistakes. Probably one of the biggest lies you'll ever hear as an author is that writing is a solo endeavor. That's simply not true. I’m here today to let you know that in order to be successful as an author who is traveling any publishing path, it’s vitally important to have writing friends. Have you ever wondered what The Lord of the Rings stories would have become without C.S. Lewis' influence on Tolkien and likewise for Tolkien's input for Narnia? I do. When Lewis formed his writing group (The Inklings) that met within the Rabbit Room of The Eagle and Child pup, did they know their words and discussions would change the world? Or where they—like us—just dreaming of stories together? Recently, it seems that everywhere you turn someone is offering help on how to succeed with marketing and/or social media. 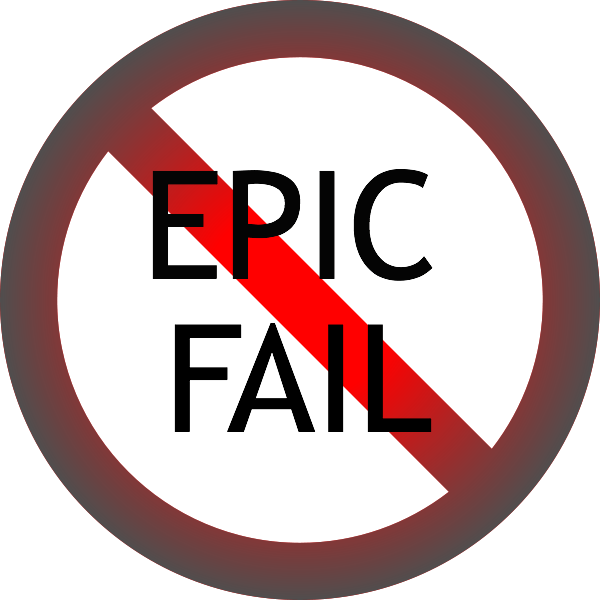 Today I’m going to turn the tables and instead of helping, I'm going to give you some social media mis-advice—my top 10 ways to score an EPIC FAIL with social media. 10. Never follow anyone back when they follow you. Why would you? They aren’t nearly as interesting. 9. Never answer any comments left on your blog. It’s just a waste of time to answer people who don’t know as much as you. Weekend Worship - How Many Do You Feed? One of my favorite Bible stories is the one where Jesus feeds the multitude. With five loaves and two fish. It blows my mind that by simply asking God’s blessing and breaking bread, thousands ate until they were full. And then there were leftovers! These past couple of days, I’ve been unable to discern if I’ve been hungry enough to eat or not. I haven’t heard from God that I should fast for three days. I haven’t been so sick I couldn’t eat. But I haven’t had much of an appetite, either. Instead, I’ve had tightness in my chest, a pit in my stomach, and difficulty taking a deep breath. I could blame it on allergies. After all, the pollen is pretty thick here. But I don’t think that’s the cause either. No, I believe I’ve been experiencing that deep thirst for Jesus that is mentioned in Matthew 5. Blessed are they which do hunger and thirst after righteousness, for they will be filled. I want to live my life in a way that is pleasing to the Lord. I want to find that righteousness in every area, whether it be in my role as a wife, mother, daughter, sister, friend, servant, or professional. As a writer, my words may reach one person or many. My prayer is for the blessing of God to be on my prose like it was on the meal that Jesus shared with so many. I want my words to feed thousands. I want what I write to bring life to the hearts and spirits of many, encouraging them to pursue their call and use their gifts and talents for God’s glory. I want my readers to find fulfillment in their relationship with Jesus as a result of the words He’s given me to share with them. Tell me, as a writer, what do you hope to accomplish with your words? How many do you want to feed? Alycia Morales is a freelance writer and editor who enjoys encouraging others to pursue their God-given dreams and use their talents. 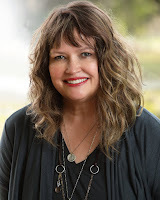 She is Senior Editor of Inspire a Fire, a website dedicated to that mission. 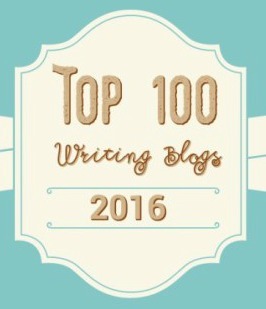 Along with Andrea Merrell, she also shares about writing and editing on their new blog, The Write Editing. When she isn’t busy writing and editing, she loves hanging with her family, drinking decaf coffee or sweet tea, and eating chocolate. 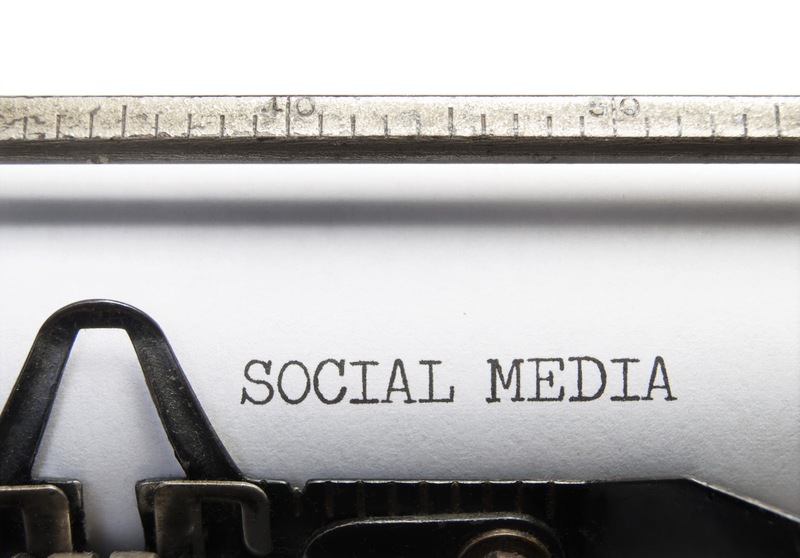 Social Media Image—What Motivates You? 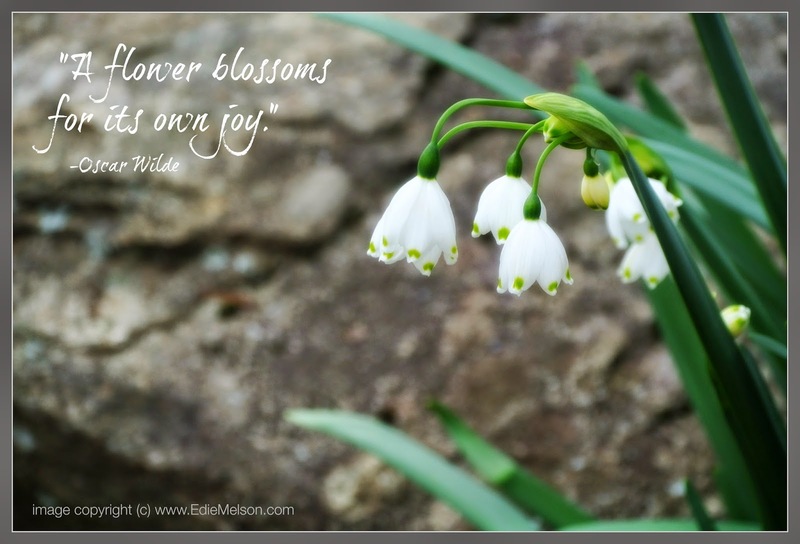 What motivates you to blossom? As writers we all hear voices. Often times they’re the characters who inhabit the worlds we create. But almost as often, they’re the voices of naysayers, reminding us how horribly we’re going to fail. I call these the You Can’t Voices. And even worse than the You Can’t Voices, are the voices that try to remind us of all the good things we’re neglecting when we self-indulgently steal time to write. I call these the You Shouldn’t Voices. 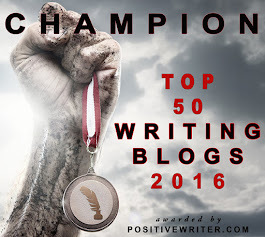 Today I’m going to share some thoughts about those last two categories and how to silence the voices in your head. Ten Things I Learned about Writing From Captain Jack Sparrow, Savvy? I love the Pirates of the Caribbean movies. And my favorite character, hands down, is Captain Jack Sparrow. I'm always searching for new ways to improve my writing and keep moving forward with my career. True gems I've found, come from some of the unlikeliest places. Today I’d like to share some of those gems from Captain Jack Sparrow himself. So here are Ten Things I learned about writing from Jack Sparrow, Savvy? Part One: What Organizations Should I Join and Why? Today we're going to talk about websites. I considered titling this post “How to Manage Your Expectations.” But, let’s be honest, that sounds too clinical. When sales aren’t meeting your goals, you and I are anything but clinical. “Help! My Book and I Are Failures” captures the panic a little better, don’t you think? Let’s say, hypothetically, that you had a stellar release week for your indie debut. Ever since, however, you’re averaging one to four sales a week, and doubt creeps in. What if those sales dry up too? 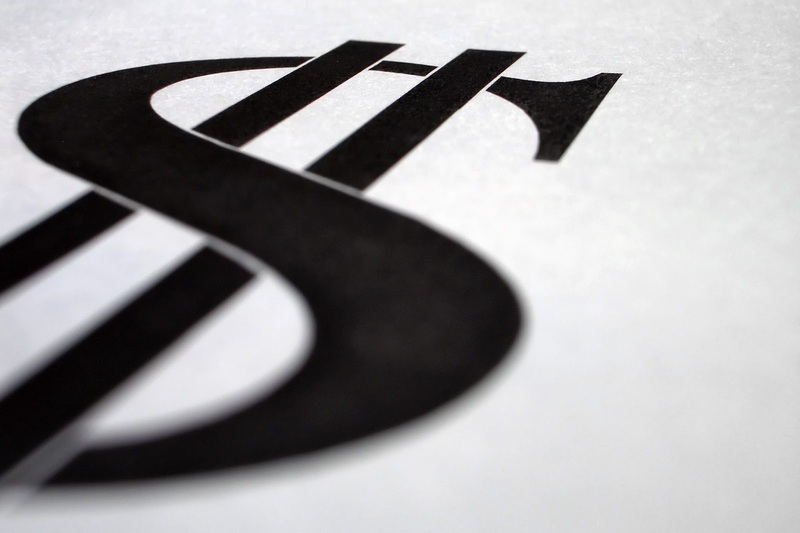 What if you don’t recoup your initial investment before book two? In fact, should you even bother with book two at this rate? At this point, you will be tempted to take advantage of the immediacy indie publishing allows. You can lower your pricing and change your Amazon or Barnes & Noble categories in less than five minutes. You can set up a Goodreads giveaway or buy a BookBub ad. Flood your Twitter or Facebook feed with ads. Maybe all of the above in the same weekend. Hypothetically speaking, of course. I hope by now everyone knows the importance of backing up your work. If you’ve spent any time at all working on a computer you know all too well that gut-wrenching feeling when you’ve lost something you’ve written. Well, I hate to break it to you, but the same thing can happen with your blog. It doesn’t matter where it’s hosted, things can go wrong. And since backing up your blog is so simple, there’s really NOT an excuse not to do it. So today I’m going to share how—and why—to backup your blog. 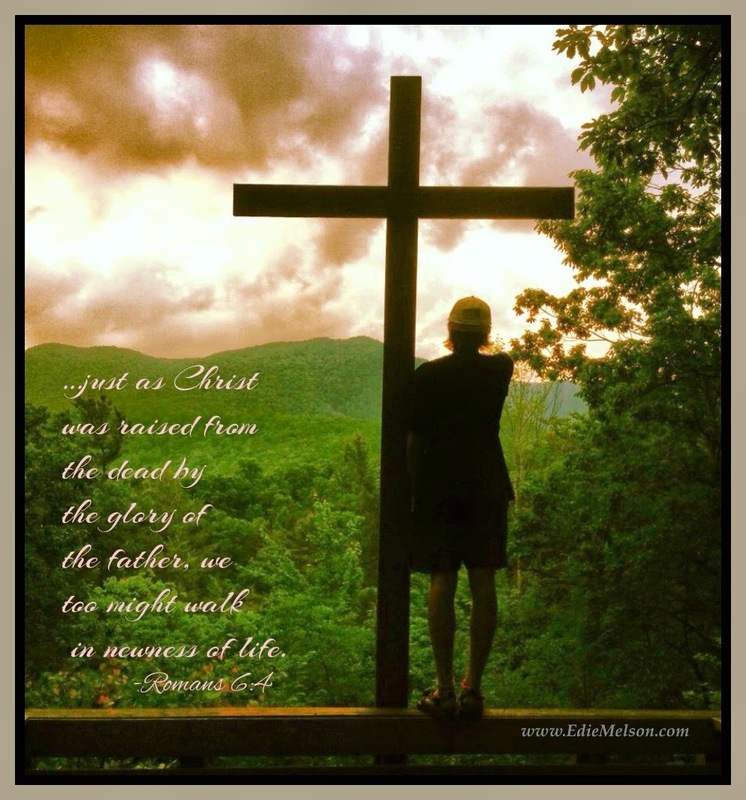 Social Media Image—Christ is Risen Indeed! This will be my only post this weekend. I hope you all enjoy the holiday and never forget what we're truly celebrating. As writers, most of us start our writing journey from a love of writing. It’s the way we process life. It’s an emotional driven process. But we can’t survive long on something that depends on how we feel. So we morph into serious writers and begin to write when we don’t necessarily feel like it. That’s when we all arrive at a crossroads of sort. Am I going to choose to keep going when I don’t feel like it, or am I throwing in the towel? I assume the majority of you reading this have passed through this intersection and are choosing to forge ahead. The decision to keep going is only part of the equation. Now you need the fuel to help you stay on track. These are a miscellaneous list of environmental things, time management tips, even attitude adjustment hacks. 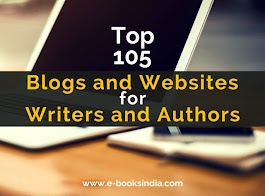 A lot of newer writers I meet find themselves overwhelmed with the myriad of opportunities in the field of writing. They struggle, trying to decide between writing articles, devotions, fiction, non-fiction, etc. Writing is a big field, and if you didn’t study some aspect of it in college, the choices can be daunting. My suggestion—take a deep breath—you don’t have to start out with a specialty. As a matter of fact, until you’ve tried several different types of projects, you probably shouldn’t limit yourself too much. 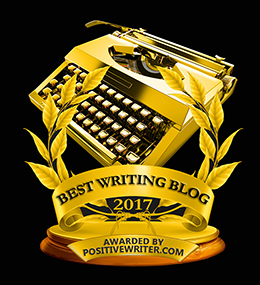 Even those of us with formal training find ourselves morphing into a different kind of writer than we envisioned at the start of our career. Part Two: WhichBooks Should I Own and Which Should I Get at the Library—and What AboutMagazines, are They Still Relevant? Indie Tuesday—Are You Ready to Self-Publish? Frantic heart palpitations. Occasional bouts of hyperventilation. Random sweating coupled with a coffee IV. Jolting awake in the middle of the night. Moments of confidence intermingled with countless instances of hiding under your desk. Are you ready to self-publish? Sounds like fun, right? Well, that’s a normal day for an Indie author. Don’t get me wrong, all publishing is difficult. I’m a hybrid author—meaning I have books and contracts with traditional publishers and then I also have books that I indie publish. 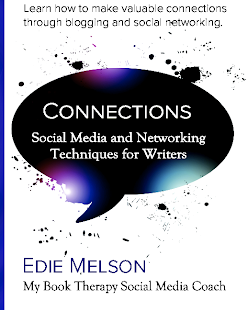 Many writers have the mistaken idea that social networking is only beneficial online. Or that it only helps when you can’t be at an event. Not true. While it’s true that social networking can help you plug in when you’re not at a conference or event—many miss the benefits of networking online before the conference begins. Imagine the tears they shed as they silently and gently lowered his broken body to the ground. See the abuse He suffered at the hands of his accusers. The beatings rendered Him almost unrecognizable as the blood and filth poured from His body. Still they loved Him so much. Social Media Image—Living Like it's Spring! The calendar tells us spring has arrived. But I know much of the country is still wrapped in the tattered remains of a harsh winter. So often we can feel like we're living this phenomenon in our lives. How do you live like it's spring? There are certain things that writers learn as they gain more experience in the industry. These lessons serve us well when the going gets tough. 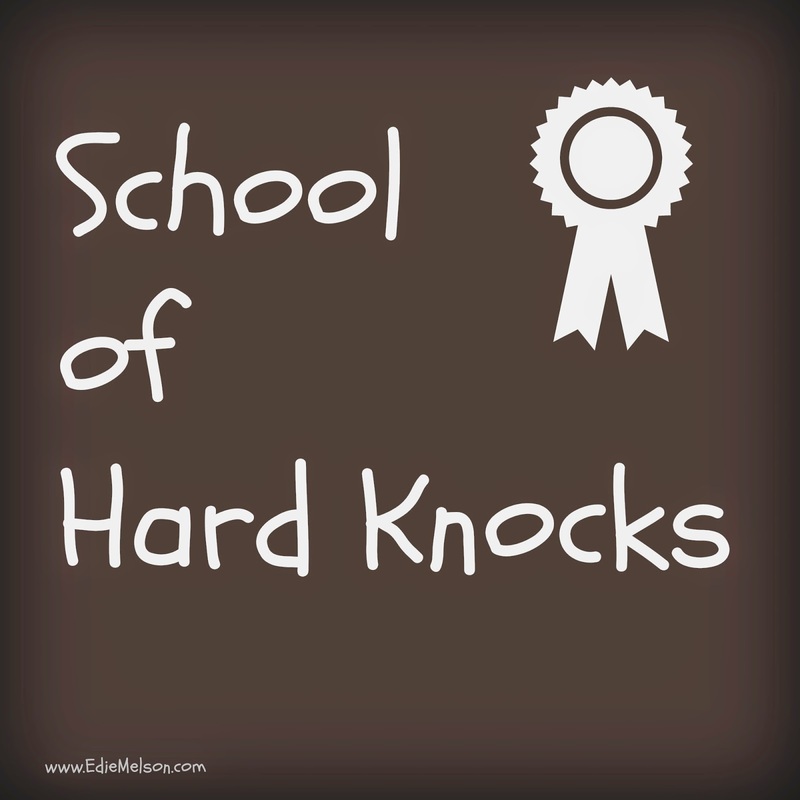 One of the reasons is that we learn them by attending the school of hard knocks. But I’m a big believer in not always having to learn things the hard way. 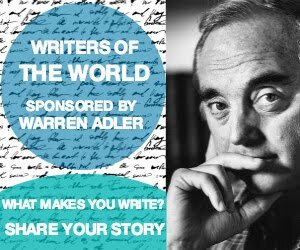 To that end, I’d like to share some things that successful writers know and believe. The believe part of these truths is key. 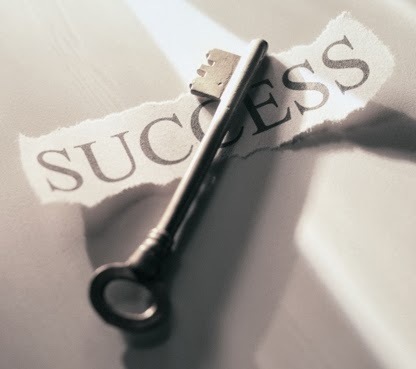 So often success or failure is just an attitude adjustment away. Structuring the perfect blog post is a myth. 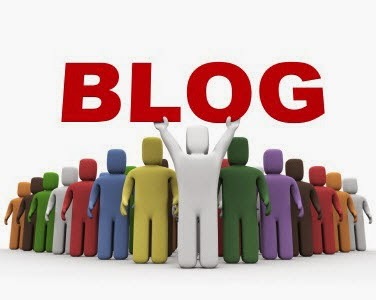 A blog post is a work of art that conforms within the science of grammar, psychology and SEO. Though we will never achieve the perfect blog post, we can always shoot for the ideal blog post. Links to other posts with the blog. As you may remember, a few weeks ago I shared the exciting news that I’m now blogging regularly at Guideposts.com. Accompanying that announcement, I also let you know I’d be cutting back on my blogging schedule here. 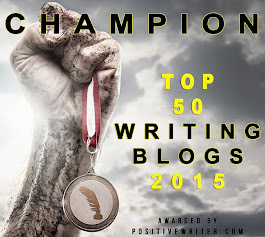 Truthfully there’s only so many blog posts I can write without sacrificing quality. Now comes the good news! 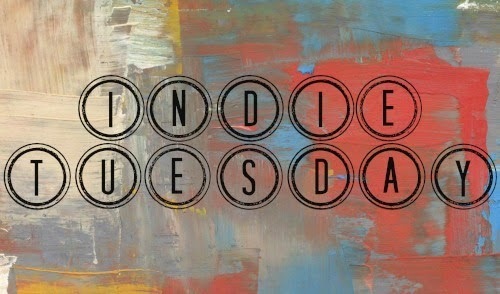 I have two amazing colleagues who have agreed to host a regular column here on The Write Conversation, Indie Tuesday. Jessica Keller & Charity Tinnin are forerunners in a movement called Indie Publishing. I reached out to them specifically because of the excellence they exhibit in every aspect of their writing endeavors. I could go on and on about how excited I am to have them here, but I’ll let you judge for yourselves. I spend a lot of time and energy blogging. In the beginning, I only blogged once or twice a week. Now with this site, and others where I guest post, I write upwards of twelve posts a week. If I'm not careful to manage my time, that can really cut into my other writing commitments. So how do I manage that many posts week after week after week? I’ve learned to maximize my time with cluster blogging. Learning how to write my posts by topic, I can get much more done in less time. I met several friends for coffee one day and of course, I took my knitting with me. For some reason it’s impossible for me to just sit still—I have to be doing something. And that something is usually knitting. 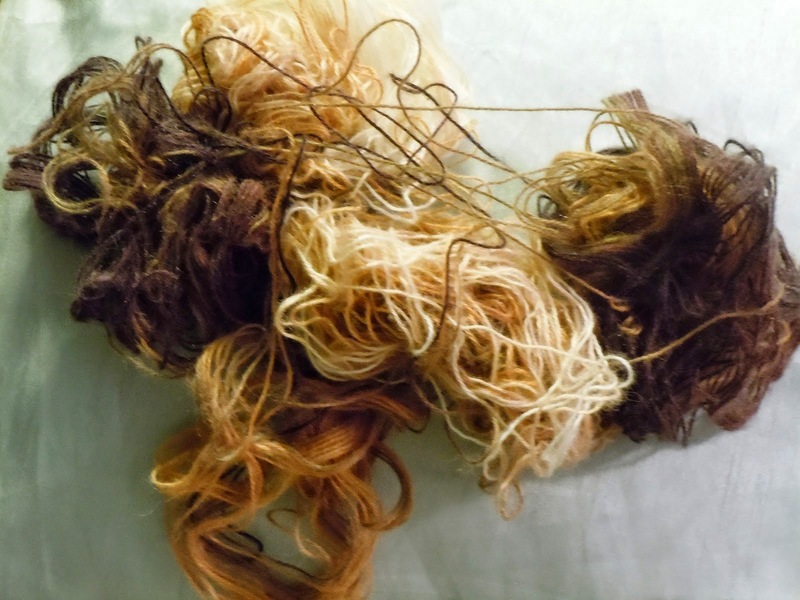 As we went back and forth, discussing our days one of my friends mentioned how neatly my ball of yarn was behaving. It should have been, I’d spent hours winding that particular ball of thread. I knew better than to try to use it straight from the skein. What keeps you moving forward? 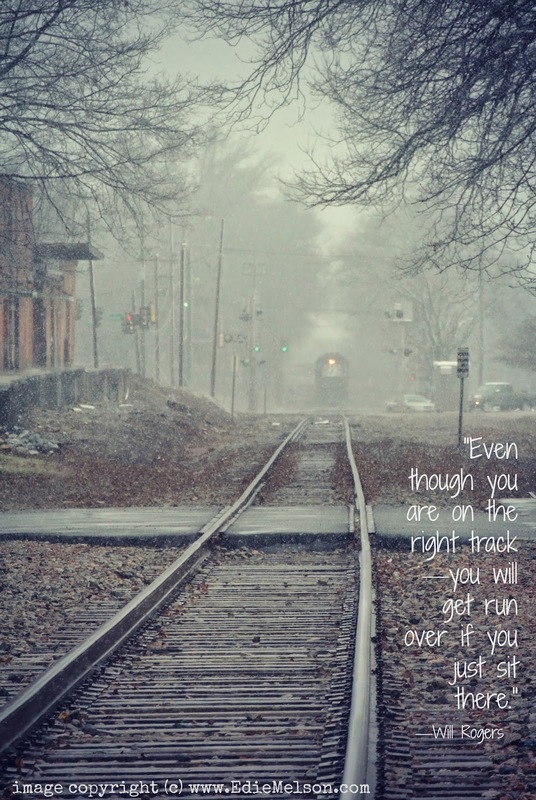 "Even though you are on the right track—you will get run over if you just sit there." 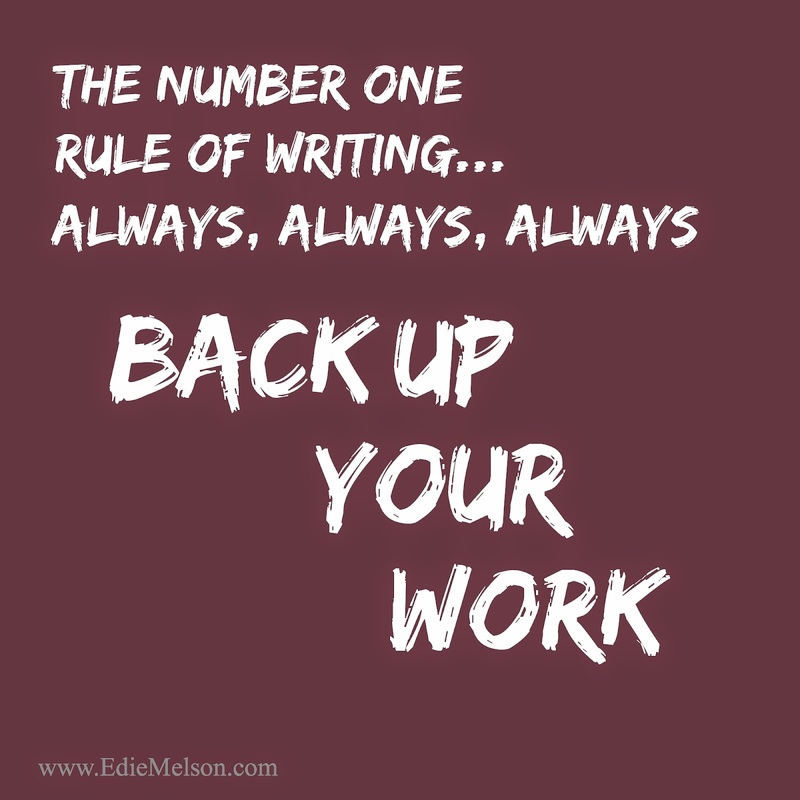 Life Lessons—Are You Just Playing it Safe with Your Writing? Being good at something is tough. It takes effort—and time—lots and lots of time. It’s the time part that trips most of us up. At least it does me. We tend to stop too soon. We get to the probably-good-enough stage and quit. It’s tempting to slack off, because the air is thin at that point. What I mean is that the majority of our competition has disappeared, and it’s easy to think we’ve done enough. But that is the point when we have the ability to reach our full potential. I’m not going to give you a list of things to do or not to do. I’m going to stop right here and ask you to finish this post by leaving a comment. Share how you keep from stopping too soon, or even how you know what too soon looks like. 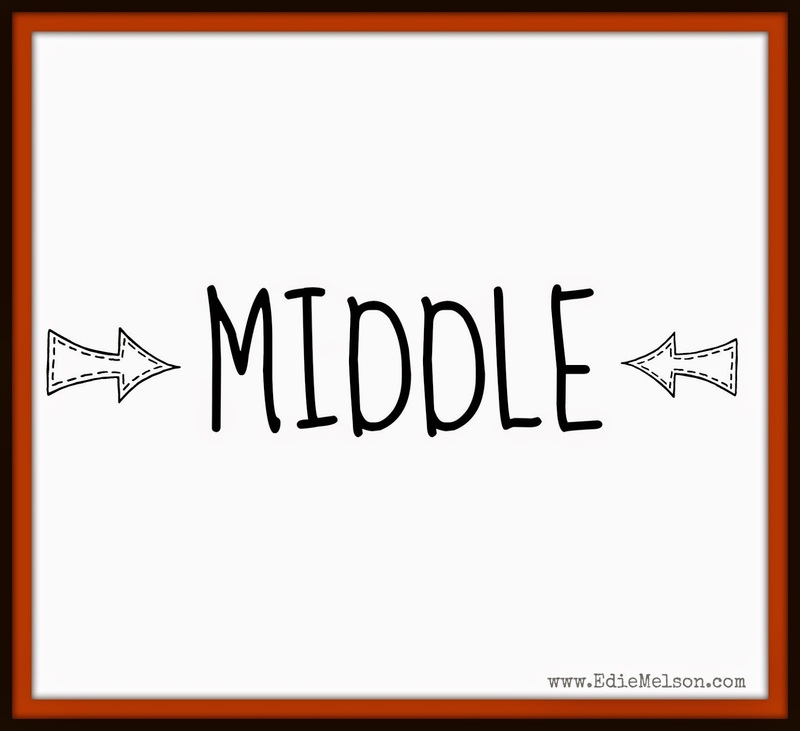 I’m not a big fan of starting in the middle. I refuse to read a series out of order, I won’t start a TV show on Netflix if I can’t watch from Episode 1, and please, please, please do not ask me to slide into a movie ten minutes after it’s started. So why on earth would I be interested in a book that suggests I start writing from the middle? “I just can’t imagine self-publishing.” Those were my words, or some approximation of them, in early 2010. I had friends who were doing well in the indie world and support on both sides of the divide. However, my problems were these: I respected (read: had a professional crush on) several agents and editors in the ECPA, longed to work with them, and wanted to see my book on a shelf at Barnes & Noble. Then I came down with the flu and never got better. 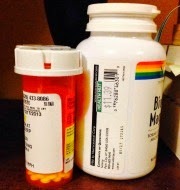 By the end of 2011, the doctors confirmed my suspicion: Chronic Fatigue Syndrome (CFS). My case is milder than many, a fact for which I am grateful. However, working full-time became impossible. I didn’t have the energy to work forty hours a week, let alone enough to add writing or a social life to the mix. I had to leave my job. I moved back in with my parents. I saw numerous doctors. One step forward, two steps back.